This article is by Jenaan Lilani, and originally posted on IDS Alumni Blog. A rather common question asked amongst Indians on being acquainted with one another is regarding their “native place”; the village, town, or city that the person originally belongs to. Having been born in the southern city of Chennai, but brought up in the western city of Pune; with my mother having roots in Iran, and my father having roots in the north-western State of Gujarat, the quintessential question of “my native place” eludes me. The significance of a person’s roots has developed a monumentally different meaning to me in recent times. It stemmed from a rather passionate meeting between representatives of the organization I work for and an NGO that focuses on rainwater harvesting in rural Tamil Nadu. While we were deliberating the location of the rainwater harvesting project we would like to fund, one of the associates of the NGO emphatically stated “make sure the employees of your organization can draw a strong emotional connect to the location of the project”. That single expression has now led us to developing a web platform which showcases India’s villages in a rich and highly visual manner. 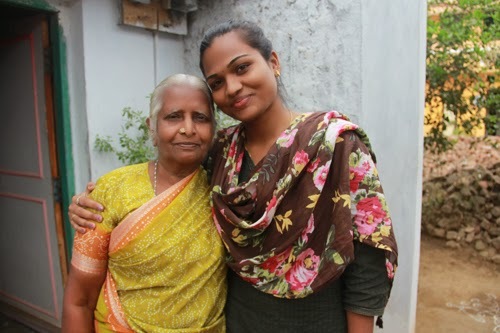 The purpose being, to provide a platform for “Successful Village Migrants” – people who themselves, their parents or grandparents, have roots in a village in India – to stay connected with and contribute to their native villages. Plenty of first or second generation migrants visit their native villages annually, whereas many third or fourth generation migrants might have never visited their native villages but yet have distant relatives still residing there, or even sometimes donate money to the village temple. By displaying India’s villages in all their glory as well as short-comings, we are hoping to build on this connect that people have with their native places and channel individual contributions towards the most under-served regions of India. A project of enormous scale, considering India has 640,000 villages; a project that would involve millions in expenses and a minimum gestation period of 5 – 10 years to really witness meaningful impact; all based on the promise of emotion. Based on the emotional connect that people have to the villages that they come from. The project, with only a temporary name – “My Village” – and a temporary website – is just a few months in but is already seeing success. A French gentleman with roots in the quaint Union Territory of Pondicherry scouted out the most impoverished village in the area and is now collecting funds to start a Tailoring Unit for 8 women. A young IT professional with roots in the District of Trichy is mobilizing resources to fund a ‘Supplementary Education Programme” in the village of Kattur Ramanathapuram in his district. Could it be possible for a rural development project to sustain itself purely on an emotion? Do you think with time this project will grow to an extent that truly encourages “Successful Village Migrants” to take an active role in the development of their own “native” villages? Follow the progress of this project on the website or facebook page. Author: Jenaan LilaniJenaan Lilani is a social development professional and currently working on a technology & rural development project with Lister Foundation in Chennai.